A year ago, Shluchim Zalman and Sterna Sarah Samama moved to Brossard, a city on the South Shore of Montreal. 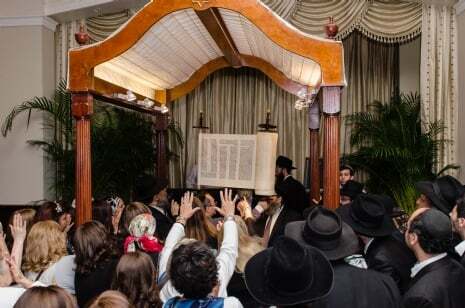 One year later, on the 18th of Elul, they were proud to welcome the first Sefer Torah to their Chabad House, the first one for the South Shore area. The Torah was dedicated in memory of the shlucha's father, R'Michael Serraf obm and in memory of Kim Malkah Chaya Himelfarb obm. 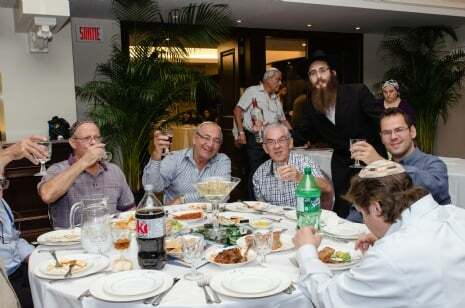 The Siyum was a joyous event where friends, family and community members gathered for a beautiful evening. 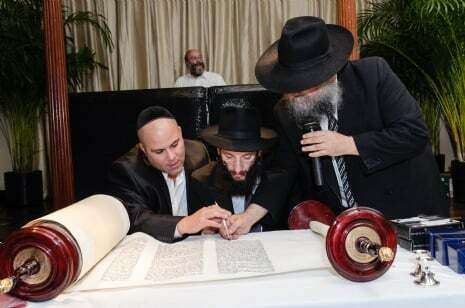 The Torah started out at the Serraf's home, and the crowd marched with it to a local hall. At the hall, a crowd of over 200 people from the South Shore, congregants and friends who knew R' Michael Serraf, and friends who knew Kim Malka Chaya, gathered to celebrate. 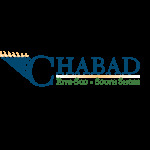 Guest speaker Rabbi Berel Bell inspired participants, and the last letters of the Torah were auctioned off to benefit the Chabad House. "Everyone who was there said they felt the joy and holiness of the event," said Samama.